It's common thought that success takes years of hard work, dedication... and maybe a little bit of luck. So when you hear "quick and easy" ways to improve your business, you may, understandably, think it's a scam. Because nothing in the business world is that simple right? Not true! Updating your business portrait is an incredibly simply way to take your business to the next level! Whether they mean to or not, potential clients make judgements on your credibility based on their impression of your image. Clients want to work with people and businesses they feel that they can trust, and that is what they unconsciously look for when they view your image. This means you need an image that portrays you as professional and reliable. While phone cameras have improved greatly over the years, do-it-yourself portraits often lack the skilled edge that a professional headshot can give you. Our Dubuque portrait photographer utilizes lighting and posing techniques that bring out your best qualities and can transform the way clients view your image. Another perk of professional business headshots is the consistency you get in multiple images. 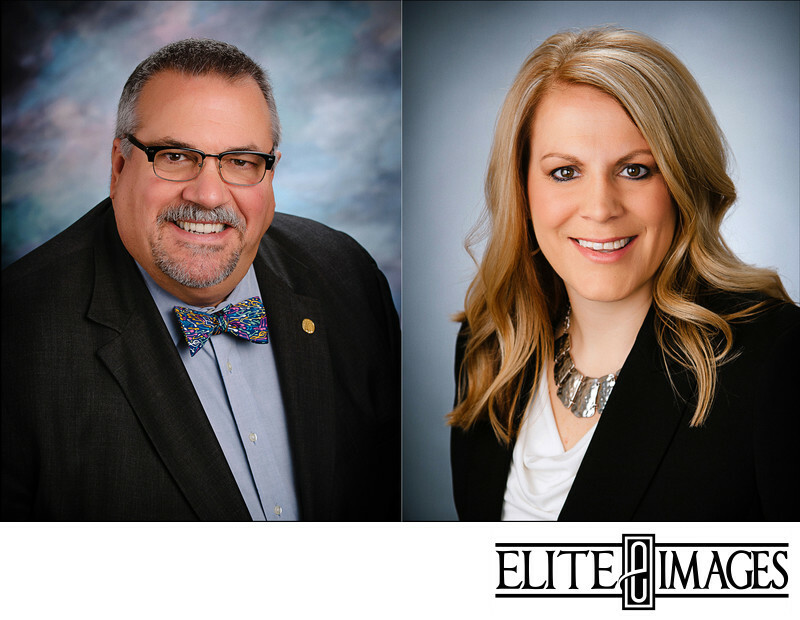 Especially for businesses needing portraits of multiple individuals, Elite Images can guarantee that lighting, background, and color are uniform across all images. Even if you are simply looking for multiple headshots of yourself, professional photographers are able to maintain high quality throughout all of your portraits. The quality of your professional business headshot can make or break the way potential clients view your business. So take charge of your image and transform the way people see you. We'll help you make that happen.